En samling guldkorn från den femte omgången Capricer där gästartister som Margareta Krook, Toots Thielemans, Robert Broberg, Gösta Ekman och Barbara Hendricks sjunger allt från barnvisor till rock. 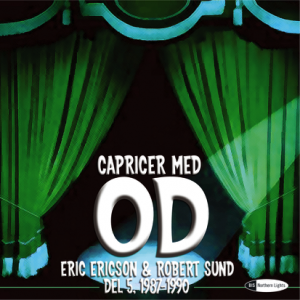 Dirigent: Eric Ericson och Robert Sund. ”More silliness from Sweden’s all-male choir Orphei Drangar (OD), yearly live concerts that were founded in 1962, the ones here taking place from 1987 to 1990, that featured ”Caprices,” or whims and improvisations in concerts (see review for ”Capricer Med OD, Del 1964-69”). 18 songs, some in Swedish, some in English; some favorites are ”Mozart’s Pianokonsert nr 21,” ”Bluesette,” ”Teach Me Tiger,” ”Sudda, sudda,” ”Yuppie Rap,” ”At The Hop/Rock Around the Clock” and ”I Could Have Danced All Night.” OK, sometimes we wish we could understand Swedish and see what’s happening when the audience cracks up, but there’s still a lot to get a laugh from and enjoy here”.